Hi, my name is Sherry aka Peekaboo and I'm glad you chose to stop by and read about the Giant Omelette Celebration. It is a lot of fun and I hope to see you there one day. If you would like more information on the Celebration please email me. You will find the link to send an email to me at the bottom of this page. Just scroll down and click on Sherry Romero. Now on to the story and pictures. 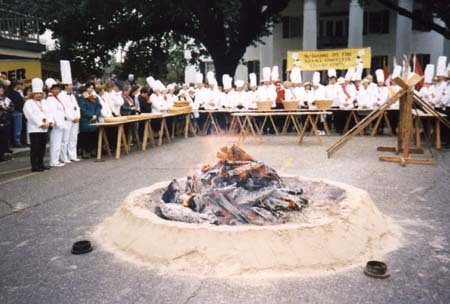 In 1983, three members of the Greater Abbeville/Vermilion Chamber of Commerce left Louisiana and attended the Easter Omelette Festival in Bessieres, France and were knighted the first Abbeville Chevaliers (a fancy word for chef). 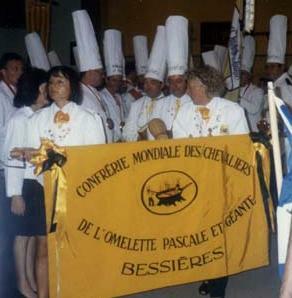 They returned home with the determination to bring Abbeville closer to its French heritage by hosting an omelette festival and join the sisterhood of Bessieres, France; Dumbea, New Caledonia and Grandby, Quebec, Canada. Since that time Frejus/St. Aguf, France and Belgum have joined us. 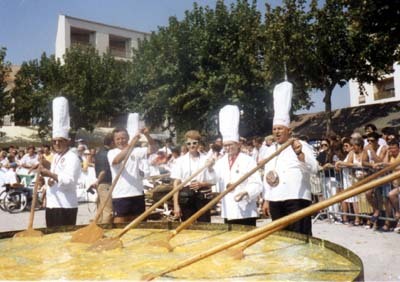 Cooking 10,000 plus eggs in the giant skillet in Frejus/St. Agulf, France. 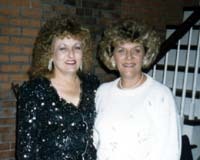 My best friend, Eva Dean, is the woman in the center. Abbeville's Giant Omelette Festival is truly international. Each year representatives of the cities in the sisterhood join us on the first full weekend in November and help us cook a 5,000 plus egg omelette. We induct one person from each city into our part of the international Confrerie every year. 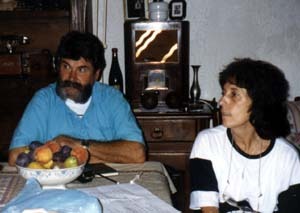 Some of my friends from Bessieres, France. I have the honor of being among the first Chevaliers in Abbeville. 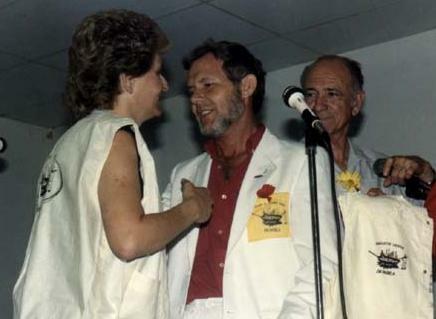 I have also been knighted as a Chevalier in Granby, Quebec, Canada and Frejus/St. Aguf, France. 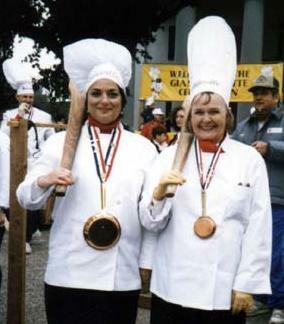 In those two countries we cooked 10,000 plus egg omelettes. There was a whole lot of cracking going on but it sure was fun. My goal is to visit the other cities in the Confrerie and help them cook their omelettes - and to think I don't really like eggs!!! The thing I enjoy most is the making of new friends, learning about their countries and culture and sharing that same knowledge about our great state and country when they visit us. I would be honored if your would leave the link to your web site in my "Free Links Site". You will find the link to it further down on this page. 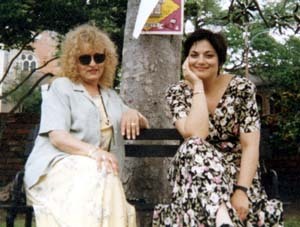 Also while you are here, please sign my Guestbook and let me know what you think of my site. 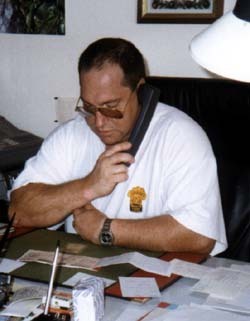 If you leave the link to your site in it I will visit and sign your Guestbook if you have one. Thanks!!!. one of our planning sessions. at one of the Omelette Celebration Balls. we attended in Frejus/St. Agulf, France. 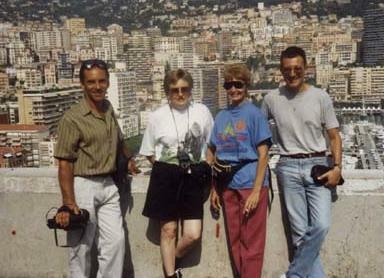 Me and Eva Dean with Guy and Jean Claude. 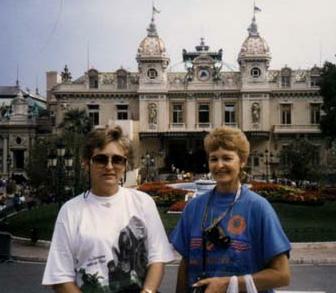 The country of Monaco is in the background. These two men were from Canada and France and were attending the Omelette Celebration also. Visit the rest of my site by chosing one of the links below. Please sign this Guestbook as the first one is full. Thanks!! !